Worlds Greatest Circus Performers with Stunning Symphonic Music is here!. Cirque Musica takes audiences on a journey to a faraway land of dazzling beauty and mystery. The show blends the grace and thrills of the world's greatest circus performers with stunning symphonic music from classical, POPS, and popular repertoire. Audiences are treated to a full sensory experience that will have them on the edge of their seats and in awe of the beauty, thrills, and majesty that is Cirque Musica. CIRQUE MUSICA features top circus performers from around the world performing in an over-the-top arena spectacular. The show features the clown of clowns David Larible who has headlined circus in arenas and theaters across Europe and is making his triumphant return to the United States where he previously was the headliner for Ringling Bros. and Barnum Bailey. In addition to David Larible, CIRQUE MUSICA will feature the world famous Wallenda Highwire Duo, the thrilling Espantilde;a Family and a cast of world-renowned performers. 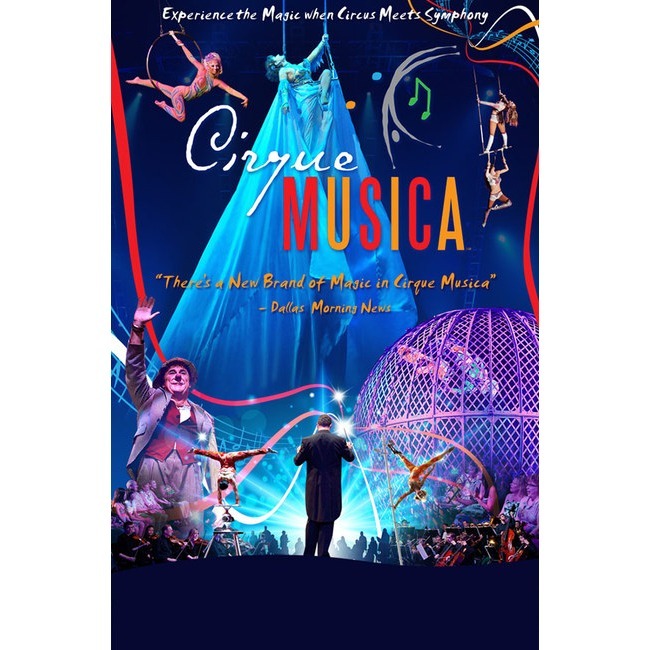 CIRQUE MUSICA will feature a LIVE symphony orchestra on stage: the inclusion of a live orchestra for a show such as this has never been done before and will introduce audiences to a whole new entertainment experience. Prior to this tour, CIRQUE MUSICA has been performing in symphony halls across the country, a concept that is now expanded to create a truly mind-boggling, sensory arena spectacular.